Thick cable-knit jumpers are definitely the kind of piece you want to wrap up with when it's freezing outside, but they have a tendency to look a little dishevelled if they're not rendered in the correct colour or yarn—no one wants a shapeless sack. 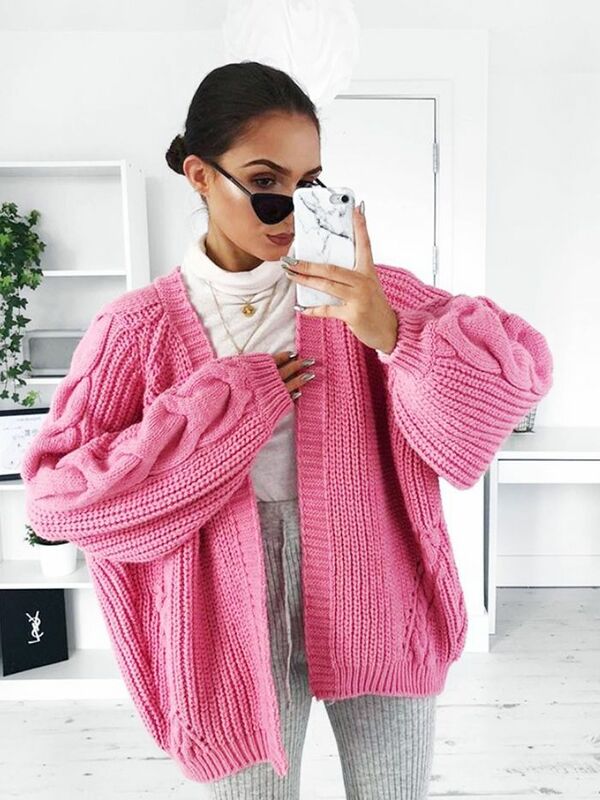 Hurrah, then, for River Island's must-have pink cardigan, aka the oversize style of dreams. It's heavy, hangs down just below the waist, has a bit of a statement sleeve, and is in the It colour of the past couple of years: pink. Style Notes: This is the new colour trilogy we're going to be aiming for in our casual wardrobe: pink, grey and white. Oh, and a pair of sunglasses, of course. Style Notes: Wearing this with jeans is always an option. Leopard-print boots are an even better idea. Style Notes: Boxfresh Superstar Adidas trainers look great with a black jumpsuit, black earrings and a black bag. Style Notes: Pink not your thing? Good news—the grey one is waiting for minimalists to snap it up. Thanks to the fun colour, you'll want to keep this in your spring and summer wardrobes too. You can never have too many grey cardigans in your wardrobe.